KISS frontman Paul Stanley will release his second book, "Backstage Pass", on April 30, 2019 via HarperOne, a division of HarperCollins Publishers. 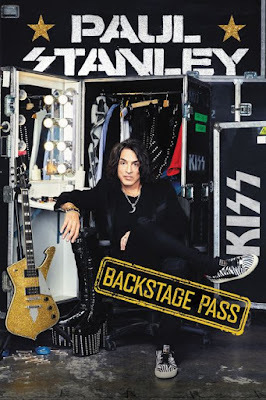 Stanley “grants fans an all-access backstage pass to his personal life, and shows them how to pursue a royal rock 'n' roll lifestyle of their own, offering hard-won advice and rules to live by from a rock 'n' roll legend,” according to an overview of the project. Stanley’s 2014 memoir, "Face The Music: A Life Exposed", debuted at No. 2 on the New York Times "Hardcover Nonfiction" best sellers list. Two days after his first memoir was published, Stanley and the original lineup of KISS were inducted into the 2014 Rock & Roll Hall Of Fame at a ceremony in New York, alongside Nirvana, Peter Gabriel, Hall And Oates, Cat Stevens, Linda Ronstadt, and The E Street Band. KISS will launch their multi-year “End Of The Road” farewell world tour in Vancouver, BC on January 31.